We have been allowed to look in on a moment of stunning intimacy. Some say this shouldn’t happen–the camera should not be so intrusive, and the voyeurism is obscene. Furthermore, my emotions of sadness or pity are an indulgence of middle class sentimentality that adds further insult to injury. What they don’t consider is that without those risks, nothing can be shared or learned. Care needs to be taken–by the photographer and by the viewer–but that can be done in order to bring people together in a public world. And was done: the photographer Tamas Dezso spent several years in Romania and Hungary to document those who have been left to contend with the ongoing catastrophe to which they were abandoned. 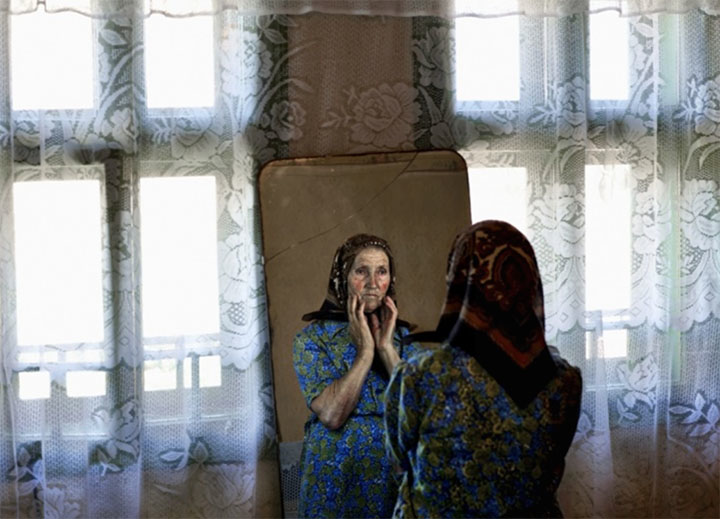 The exhibition at The Guardian is titled “Postcards from the Ruins,” and it includes this photograph of Anastasia looking into a mirror. We see her in the mirror–as an image–and also in front of it, and so the photo cues a reflexive awareness. She confronts her image, and studies it, and we can do the same with the photo. She ponders the toll time–and work and illness and worry and much else–has taken. We can do the same. She looks into a ruin of a mirror that is propped up against a curtained wall, between curtained windows behind which blank white light forms another wall. It’s as if everything can be seen only through a veil, as if everything were shrouded for premature burial, as if she were looking at herself in preparation for her own funeral. This world, it seems, is constant deterioration, while the next offers only blinding nothingness. We might want to think about how things got to that point. And yet, for all the melancholy that suffuses the scene, she is beautiful. The mirror’s portraiture captures so much, from the vibrant blue in her dress to the combination of strength and gentleness in her hands to the daunting candor of her self-examination. It is not hard to imagine that she is seeing not only who she is, but who she was, and perhaps more as well. She knows something about living among the ruins, and though hard earned, it is hers. I hope she finds consolation in what she has learned, and joy to match and exceed the colors still remaining in her world. The question for us is, what are we to learn from what we have seen here? Good photography can offer something like intimacy, and that can be an occasion for getting close to the knowledge of oneself and the world that intimacy offers. If it is applied only to those in the photo, it probably is only a semblance of knowledge. But if we are willing to see ourselves in her, perhaps we might ponder how her fate overlaps silently with ours. I’m already old enough to know what it means to see one’s own decline in the mirror. I hope you live long enough to have the same experience, but not for that reason. Part of the beauty of this photograph is the dignity she confers on that experience. May we do so well. One might consider also how her world is not as remote from this side of the screen as we might think. Some of the bad policies and bad luck that produced post-Soviet poverty also apply to more affluent sectors of the geopolitical system, with the effects buffered only for the time being unless better decisions are made. In a neoliberal economic order, protracted deprivation and indifference can become the order of the day anywhere, even in those places where ruins are still hidden in the mirror, waiting to be seen. Photograph by Tamas Dezso/the Guardian. 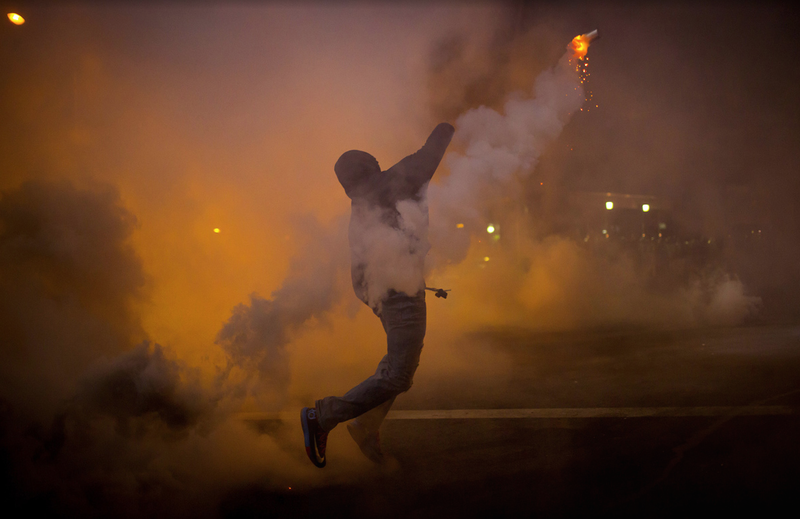 This photograph could have been taken in any number of places throughout the world where violent protest and opposition to authoritarian political regimes seem to dominate the news. And to be sure, we have seen it before on many occasions. Indeed, it is something of a visual trope that tells us little or nothing about the particular conflict, but nevertheless signals a world in which the rule of law has utterly failed if it ever had a place to begin with: the desperate, anonymous individual wielding their body and something less than the most advanced technological weaponry–a brick or rock, a sling, a primitive homemade bomb–against an equally anonymous, heavily armored modern militia. What makes this image unique is that it does not portray a scene from Barundi or Istanbul or Sana or Tel Aviv or any of the other likely hot spots throughout the world, but rather Baltimore, Maryland. Rather than to be viewing violent protest and opposition at a distance, here we see so-called “unrest” at home. Rather than to be confronted with rebels or revolutionaries and political regimes that are often hard to identify with in any particular way, here we see fellow citizens fighting against the guardians of our civic institutions. And therein lies a tale worth considering, for there is no escaping the implication that what we are seeing here at home is fundamentally no different than what we see regularly abroad, and the clear warning that such “unrest” is not just an aberration but the harbinger—perhaps even a prophecy—of the utter breakdown of civil society. 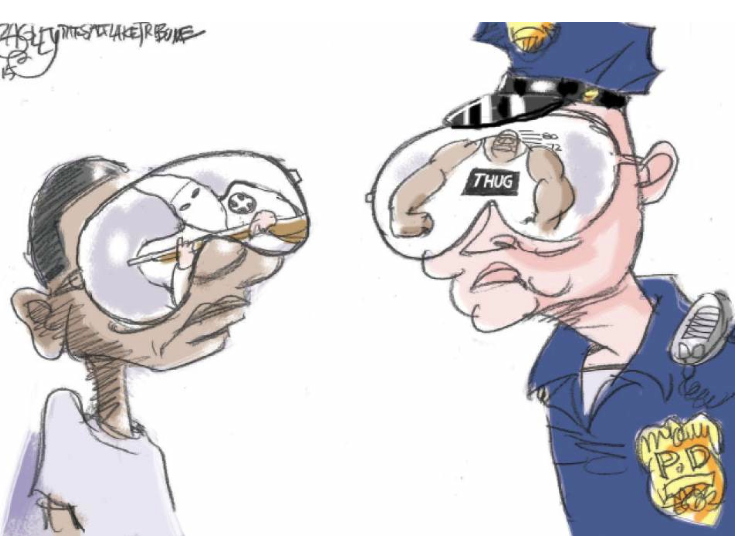 Given the increasing regularity of such “unrest” animated by a growing distrust of America’s police forces it is a warning we should heed with some care. I had an opportunity to see Rembrandt’s “The Night Watch” as a teenager and I recall being impressed by the size of the painting, but more than that with the way in which it captured so many different perspectives at once, with folks looking in every which direction. Each gaze within the painting seemed to tell, or perhaps invite, a very different story. I was a somewhat new, amateur photographer at the time, and I remember thinking that the painter here had accomplished something that the photographer could not do – the photographer, I thought, captured a sluice of reality in all of its objectivity, and while the lens could cover a whole landscape it worked most effectively when it focused in closely on details; the painter, on the other hand, did not just capture a scene, but imagined it, and in such imagining there was a special capacity to represent the world in a way that actually “created” it, putting things together that we might not actually see in relationship to one another in the so-called “real,” objective, seeing world. I was young and naïve, of course, but I was also captivated by a fairly common way of thinking about the relationship between painting and photography marked by somewhat rigid distinctions between the real and the imaginary. Much has changed since the mid-1960s, and we are not so taken anymore with the notion that the distinction between the real and the imaginary is quite so stark –although, oddly enough it does rear its head somewhat regularly. And of course photography is one of the places where we see the problem worked out most clearly. The photograph, of course, is animated by its indexicality, the notion that the thing was actually there. But as with the photograph above, it is also something that in fact can work to evoke the imagination. The scene here is a helicopter on its way to Katmandu, all but perhaps one of the individuals in the scene victims of the recent earthquake in Nepal. And while it is shot within the narrow and confined space of a helicopter, it nevertheless shows a rather wide scene; indeed, there is a sense in which the cramped space of the helicopter has been recast as a wide and capacious landscape. And like in Rembrandt’s “The Night Watch,” notice how just about everyone has cast their gaze in a different direction, each face evoking a somewhat distinct emotional register and inviting consideration of a different story. 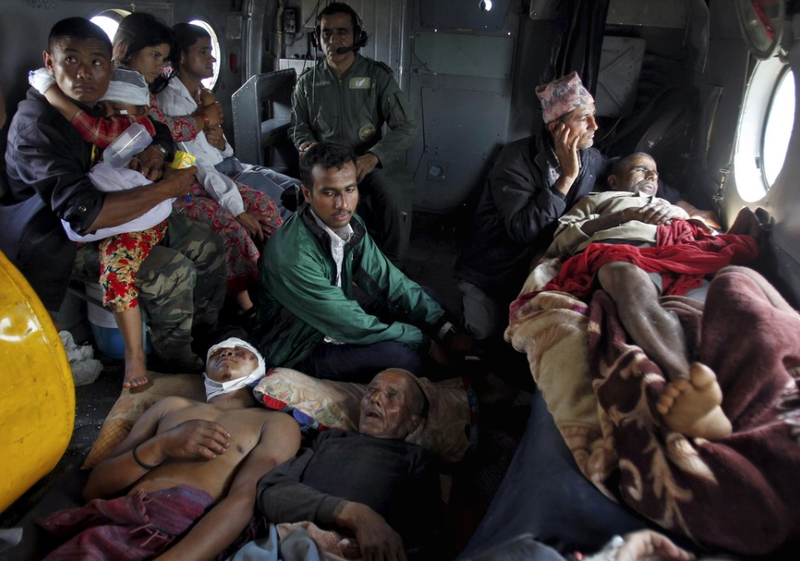 All Nepalese, and all suffering the same random act of nature, each is nevertheless still an individual with his or her own hurt and sorrow. Painting with light, the photographer here has helped not just to capture an objective reality, but to do so by imagining the relationship between individuals and the larger society of which they are part, and in so doing inviting a different kind of relationship between those of us who view the photograph and those suffering at some distance. There was a time when photographs were understood as primarily objective representations of the external world. And there is an element of the objective at work here, to be sure, but to limit our understanding of the photograph in such a register is to ignore the incredible power of the camera and the agency of the photographer to help us imagine and rethink the world. 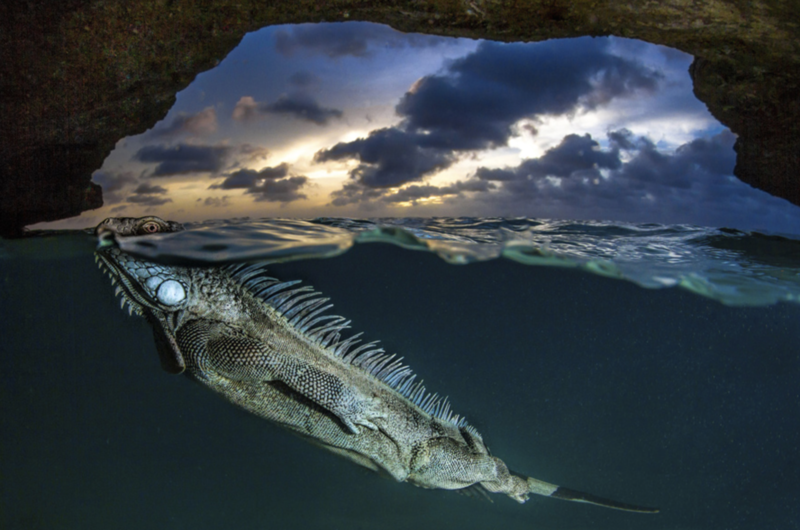 This iguana might be magical–after all, he is digital–and he already is a mediator between sea and sky. The photograph provides a stunning tableau of how separate worlds meet at the surface of things: three worlds, actually, as we also see the rocks of a sea cave framing the heavenly vista that extends far above and along the water. The iguana represents a fourth world, that of organic life, but it also seems to incorporate the first three in its rock-like skin, streamlined posture, and eye that can see along the rays of light permeating the air. So it is that the photo captures a profound sense of liminality: the border between things. We see water and earth and sky and animal, but each of these separate entities is also part of the borders between them, which are something else as well. The slightly turbulent, partially illuminated surface of the water and the outline of the sky made by the rock create a sense of bounded yet dynamic space, which contrasts with the vast darkness below and the endlessness above. That border is neither one side nor the other, but both, just as the animal is neither above nor below the water, but both. Although the act of breaking the surface will have lasted only a moment, the photograph has a sense of timelessness. The iguana looks like a prehistoric creature, the dark sea and distant sun have been there for billions of years, and there is no sign of anything having changed since then. Some say that photography shouldn’t aspire to the timelessness of art, but that’s the wrong standard anyway (and not only for photography). The beauty of this photograph has done something important, which is to show how the enormous scale of nature’s time and space also includes the magic of surfaces–of those places, often very small places, where forces meet and mingle. This is another example of what I have in mind. You are looking at a wave that looks like a rock. The incredible motility of the water has acquired the solidity of rock, which we can see because of the contrast with the sky. The illusion (if you want to call it that) also is caused by the light flowing through the water, but that proves the point: what we think of as one thing is two or more; a wave is both air and sky, not to mention the motion of earth and moon. This wave is a border between sea and sky, and one might well wonder what great leviathan could be rising to break the surface. This photo, like the one above, also seems to depict nature’s timelessness in a liminal moment. And why not? Not only are the techniques the same, but the subject is the same. That wave lasted only a few seconds, but the water and wind shaping it have been there for billions of years and will be there long after we are gone. We can sense the abstract forces coursing through the wave, and we can see texture of its surface, which is at once sea and sky. Together they communicate nature’s glory. The wave, like view from the sea cave above, also is the product of digital processing. I wouldn’t worry about that. Like the effect of the light through the water in each scene, the tonalities of the image are neither fixed nor misleading. It is only by seeing these scenes somewhat imaginatively that one can begin to appreciate how the world is made, and that is true whether you see it through the lens of art or science. To the extent the processing helped bring out the richness of the world, so be it. These photographs are not only an education in natural beauty; they also exemplify how photography itself is a liminal art. The photograph is a thin surface between two worlds: neither here nor there, and neither past nor present, but both. Every photograph puts us into a liminal space–a space where perhaps we can breathe a silver bubble of air and see anew. 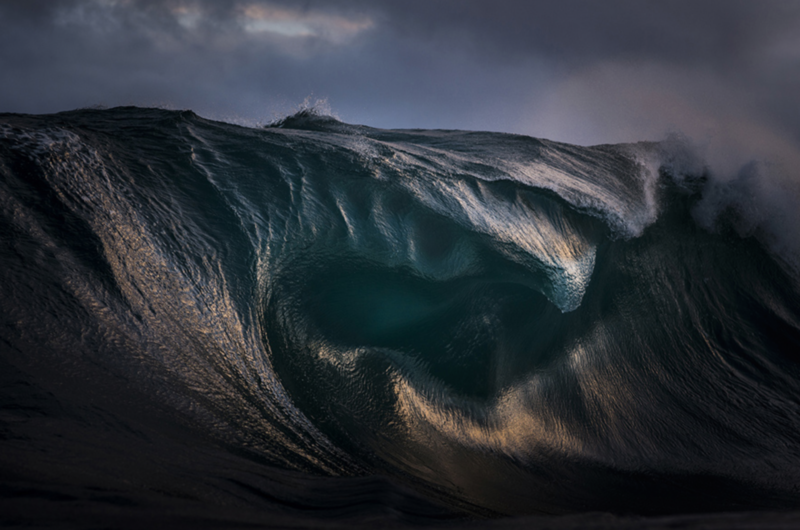 Photographs by Lorenzo Mittig and Ray Collins at Smithsonian.com. The first was the winner and the second a finalist in the Natural World category at the Smithsonian Magazine 2014 photo contest. Some of the time photography relays other arts, and much of the time it creates the artwork. Much of the time photography provides figural representation (that is, of persons and objects), and some of the time photography provides formal representation (that is, of abstract shapes and relationships). Figure and form are themselves relative terms, as is suggested by their Latin roots which refer to the not very different concepts of shape and mold. Figures include forms, and forms imply figures. In like manner, you could switch the terms “some” and “many” in the previous sentences and they still would be true. So it is that the transition between figure and form can be a source of invention in this public art. 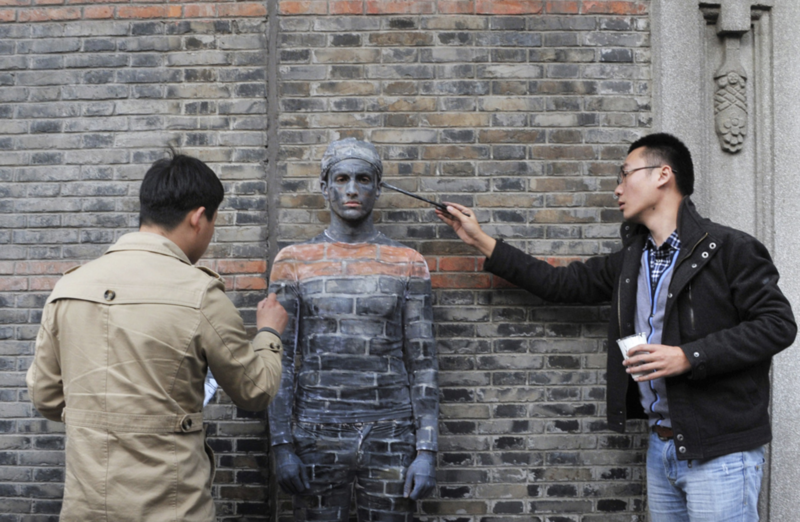 This photo was taken in Shanghai, where local artists were painting a man to blend into a wall. The project is intended to raise awareness of the need to protect traditional structures. Good luck with that in capitalism’s newest laboratory, but along the way the photographer has captured a moment in which the figure is both there and not there, familiar and uncanny, still salient but fading into the background. We also can see that as the figure disappears, the human form does as well, to be replaced by the more impersonal formal relationships of bricks in a wall. But not really. There are three figures in the photograph. The partial disappearance of the one is highlighted by, and highlights in return, the detailed, striking, robust presence of the other two. The photograph gives us a temporal (and ontological) succession from the wall to the somewhat abstract figure emerging out of it to the fully textured persons in front. Of course, it also is a recession, as the movement can go from person to (via the brushes) to figure to wall. It’s all the same to the camera. So what is the point of the photograph? It is showing artists at work, so that seems to be the obvious answer, and one that is reinforced by including that architectural ornament in the upper right. Art and artistry are on display, both as a contemporary act and on behalf of a sense of tradition signified by the decorative fixture. The skill evident in the painting supposedly is more than is required to operate a camera, but this photograph demonstrates that each art is capable of achieving an aesthetic effect. The mimetic work of the painters is admirable, but the depiction of the painters is superb. With their intense concentration and arrested movement, they become aesthetic objects themselves, so much so that they could stand beside others like them in many a painting of the artistic life. Figural representation has triumphed after all, because of the continuities of form within the image and across the archive. But not for long. I have included this second image not only because it is a beautiful study in natural forms, but because it happened to follow the first in the recent Photos of the Week slideshow at In Focus. There doesn’t seem to be any logic or narrative continuity to this new media genre, but the editors are making decisions of selection and placement, so something must lie below the surface. Once again we have a study in figure and form, although now with the ratios reversed. 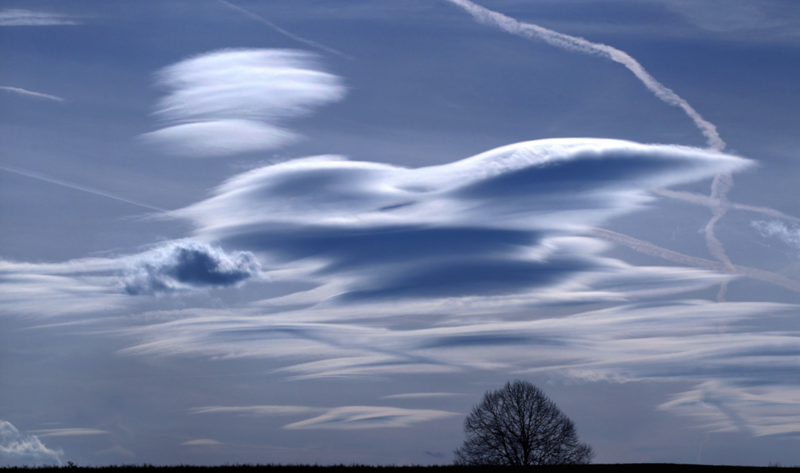 The tree is recognizable as a tree, and you can know that the shapes in the air are clouds (which they are), but now the term “clouds” seems a retroactive and all too limited description of what we see. The photograph presents beautiful, marvelous, enthralling shapes made up of sinuous contours and simple colors. The forms seem both dynamic and timeless, both solid and ethereal. So what is the point of this photograph? Let me suggest that one answer comes from seeing it, as with the one above, as a transitional moment between figure and form. We see clouds and a tree, but also the vast, incomprehensible beauty of the natural world; and we see the vast, incomprehensible beauty of the natural world, and also clouds and a tree. Seeing either alone could be too much or too little to contemplate. The point would be that the beauty of the world is there to be seen, but to see it we have to pull it out of the background just enough so that it is visible yet not too familiar. As photography is a public art, it depends on and expands an imaginative space, one that stays connected to but extends beyond ordinary vision to show what we have in common. That includes showing things like nature and tradition and beauty and art, for example. To see any of these things, figure is necessary, and form is essential. Photographs by Reuters and Karl-Josef Hildenbrand/AFP/Getty Images. Since 9/11 there have been over 400,000 gun deaths in the USA from privately owned guns. That’s approximately 33,000 deaths per year – murders and suicides combined – and it doesn’t take account of the approximately 80,000 injuries each year. To put it all in context, the Congressional Research Service estimates that from the Battle of Lexington and Concord to the war on Afghanistan, 1,171,177 US citizens lost their lives in American wars; according to the FBI, since 1968 1,387,171 American have lost their lives to firearms. Most recently it was reported that the direct and indirect costs of gun violence amount to $229 billion dollars per year – that’s more than the estimated cost of obesity ($224 Billion) and nearly as much as the cost of Medicaid ($228 Billion). Or to make it personal, the per capita cost ranges from $234 per person (in Hawaii) to $1,397 per person (in Wyoming). The average national per capita cost is $750. Now I know that attitudes about the 2nd Amendment are polarized across the nation, but whatever your ideological position is it is pretty hard to deny that we have a serious problem here. And the photograph above points to at least a small part of the trouble. 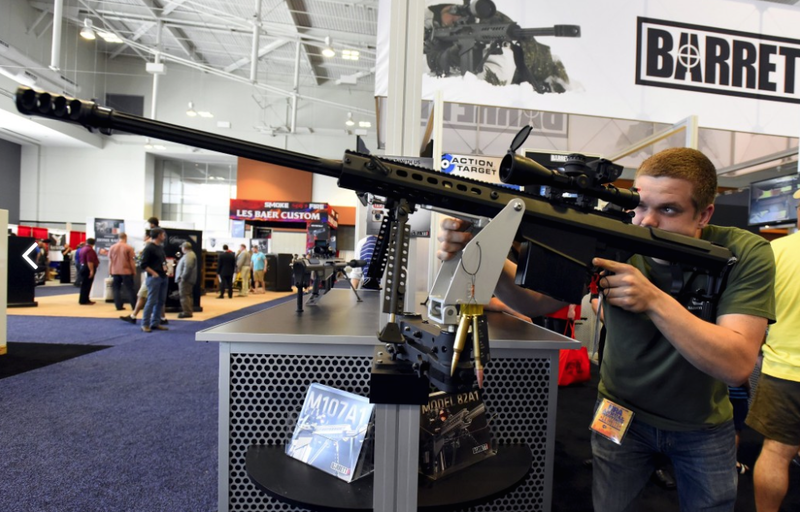 That’s a Barrett .50 caliber rifle—often referred to as a “sniper rifle”—on display at the annual NRA meeting in Nashville, TN. It shoots ten rounds per second is a semi-automatic weapon that holds a ten round magazine, projects an effective range of 2,500 meters, and has been known to cleanly sluice through the engine block of a truck. The man wielding the gun is intense and focused. He seems to be having a good time. And therein likes the rub. I realize that some will take exception to this claim, but I truly cannot imagine how a private citizen could possibly need quite that much firepower, whether for hunting or self-defense or … for what? The International Association of Chiefs first recommended banning the private ownership of such weapons in 2004 as a protection for law officers, a recommendation endorsed by strict regulations passed in the State of California and the District of Columbia. And yet, as the photograph above suggests, the rifles are still not only being manufactured, but promoted at national events … a phenomenon no doubt encouraged by the popularity of this past year’s biographical movie American Sniper. One cannot only see such weapons, but one can play as if they were actually shooting one. And to what end? To imagine assassinating a foreign leader? Or stopping an invading tank? The question is, can we have a sensible endorsement of the 2nd Amendment without going to the extent of encouraging the purchase of or identification with weapons that clearly have no other purpose than to kill and maim at great distances. After all, weapons such as this are not used for target practice or sport and the thought that a rifle of this size and caliber might serve as self-defense is laughable. 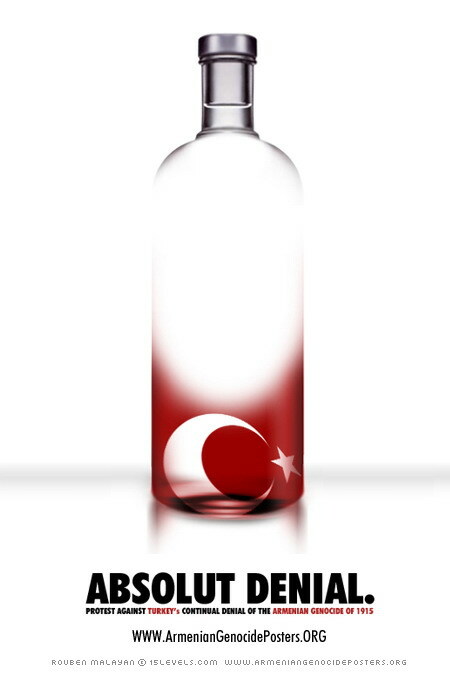 Perhaps its only virtue is that it is so large that it can never serve as a concealed weapon. The point, I guess, is that the debate over gun control has extended to such absurd limits that we have failed to produce any kind of sensible regulations on gun control at all. The Constitution grants the right to bear arms, just as it grants the right to “free speech.” But as we know in the later case, such rights are neither absolute nor without obligations. They have to balanced against the costs. And when the costs get too high the rights must, reluctantly, be restricted and restrained. Rather than to endorse playing with guns, the bigger the bang the better, the NRA would serve itself and the nation more productively if it worked to think about how the 2nd Amendment might be sensibly adapted to a growing (and tragic) cost that seems to exceed its benefits. It’s that time of year when we can enjoy the annual photographs of cherry blossoms, tulips, and daffodils; not to mention birds building their nests while lambs and puppies and babies delight in the warm spring sunshine. Winter has finally moved on, and hope springs eternal. 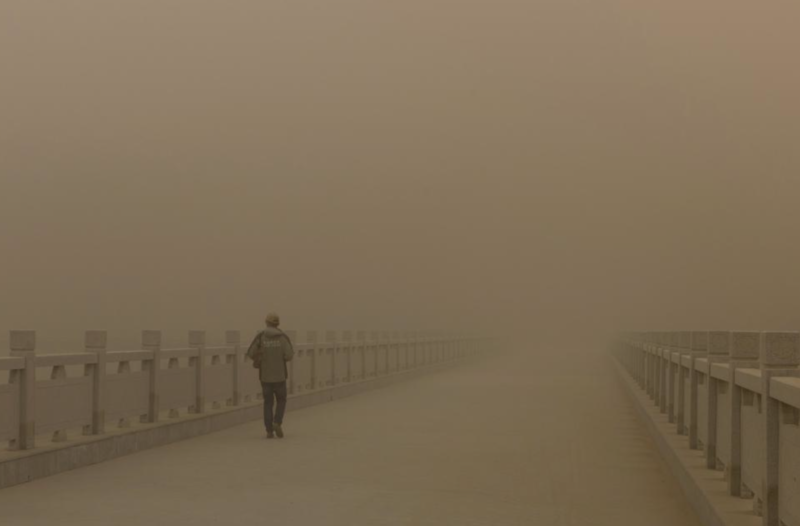 Unless, of course, you are caught in a dust storm in Dunhuang, China. I realize that we are all too familiar with the dust storms of Dunhuang, but let me bring up the subject one more time. Yes, I want to introduce a sour note into the seasonal chorus, and no, it’s not something I usually do. You shouldn’t blame me anyway, because it’s this photograph’s fault. Any part of the planet can have a bad day, and I don’t want to single out Gansu province, which would be a tad hypocritical when my own country is dealing–and not dealing–with a drought and other adverse weather that of course has nothing to do with climate change. And like most photographs, the value of this image really isn’t in its news value, but rather in how it helps to orient us toward conditions that we already are experiencing. To that end, this photo’s artistry provides at least three suggestions that merit further reflection. One is how all-encompassing the storm is. Of course, that is an illusion created by the limited purview of the camera: somewhere outside of the frame, there is no dust storm. But in the scene we see, which extends to the horizon, the dust is sovereign. It doesn’t take much imagination to see that total transformation of the local environment as the result of enormous natural forces. This incredible feat of lifting thousands of tons of earth into the air is the work of vast weather systems wheeling about the globe. In case it wasn’t clear enough, consider also the contrast with the human being walking through the storm. He can endure it, wait it out, survive it, talk about it afterwards, but he cannot control or conquer it. The second suggestion comes from that high-quality fence. This is not your grandfather’s dust bowl. The beautiful design may be made of concrete–that is, of sand, a silicone dust–but in any case it sits serenely in the storm, almost as if it, too, could patiently wait it out. The omnipresent tonality of the photo creates a homology between the dust storm and the patterned roadway, as if the built environment and the natural environment were seamlessly coordinated (in harmony, the Chinese might say). And there is an important moral there, I think: if the dust all blows away, or if it grinds the structure down to dust, or if it gently buries it 100 feet underground, it’s all the same to the dust and to the structure. The continuity of nature and human engineering that we rightly prize, works just as well in reverse. Which brings us to the third design element in the composition. Both roadway and the lone individual are directed toward the vanishing point of the photograph: a place in this image of pure obliteration. Sight, distinction, every separate thing is consumed by the storm, converted into total meaninglessness like a last, uniform expanse of cosmic dust at the far end of time. Against the hubris that comes with building beautiful structures and complex civilizations, we see instead a trajectory toward a common dissolution. This photograph doesn’t tell us anything important that we don’t know, but it does provide the means to think about what we would rather ignore. When it comes to living on this planet, just who are we kidding, and what do we think will save us? There have been dust storms for a very long time, and they have buried more than one civilization, but now the stakes are higher still. Human beings are able to alter the climate, but not control it. What had been local problems or long term patterns can be tipped into catastrophic changes. And if hope springs eternal, then there will be reason to believe that one day we’ll all be there, walking along a beautifully engineered roadway into oblivion. Photograph from the China Stringer Network/Reuters.